The City of Minneapolis recently expanded the number of items that can be recycled curb-side at residences throughout the City. In order to better inform residents, the City has partnered with Eastside Food Co-op to conduct community education meetings throughout the City. The community meetings will focus on what can be recycled, options for the items that can’t be recycled, and why they can’t be recycled, as well as questions residents may have about how to sort and store their recyclables for pick-up. A session for Lynnhurst residents is scheduled for Wednesday, June 13, 7pm at Lynnhurst Park. Did you know that we have over 900,000 ash trees just within Minneapolis and over 998 million in Minnesota? That’s a lot of food for the hungry larvae of the EAB. In May 2009, an infestation was found in St. Paul, northeast of the I-94 and Hwy 280 intersection. In February 2010, both Hennepin and Ramsey counties were placed under quarantine to help contain this menacing pest. 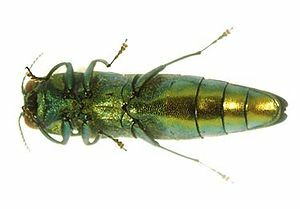 Anyone within these two counties is prohibited from moving ash trees (whole or in parts) and the EAB outside these counties. Its spring and in Minnesota that means one thing… and its not road repair! Here are three more plant sales to help you spring into Spring. 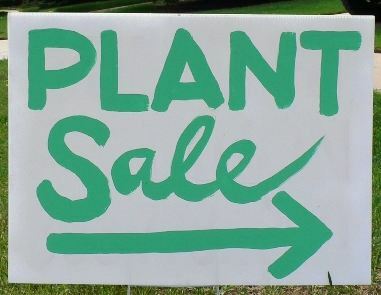 This weekend – May 11-14, 2012 – Linder’s Garden Center will dontate 15% of your total pre-tax purchases, including gifts cards, to Great River Greening. The results are in. This year’s sale of compost bins, rain barrels and food scrap buckets was a great success. 61 residents ordered a total of 87 items. Thanks to everyone who bought items or volunteered their time.